Good spinal function is key! Need to straighten things out — literally? 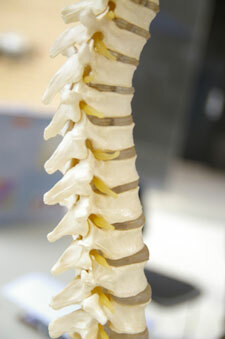 Spinal function or range of motion in the spine is directly related to the alignment mechanism. If the alignment is off it’s going to change the motion of the spine. It’s also going to affect the nerves that ultimately affect the blood vessels, the muscles and the organs. When the nerve is irritated from mechanical misalignment — subluxation of the spine or pelvis — you get compression of nerves which changes the function of nerves. This ultimately causes dysfunction and ultimately disease. People want to know how their spine got so out of alignment, how they got scoliosis, and why they don’t have leg length equality (why one appears longer or shorter than the other). These common questions have pretty much the same answers. Spinal misalignment contributes to asymmetry — an unequalness between the left and right side that creates distortion. The distortion becomes dysfunction and ultimately if you keep on walking around with a dysfunction, you’re going to experience disease. Discover how chiropractic care may help you!